I’m not sure if you can spot the Sennheiser MKH-60 microphone in this picture, but if you do you’ll see that it is attached to a Sennheiser SKP300 G3 transmitter that supplies 48V phantom power to the mic and sends the signal wirelessly to the audio mixer. 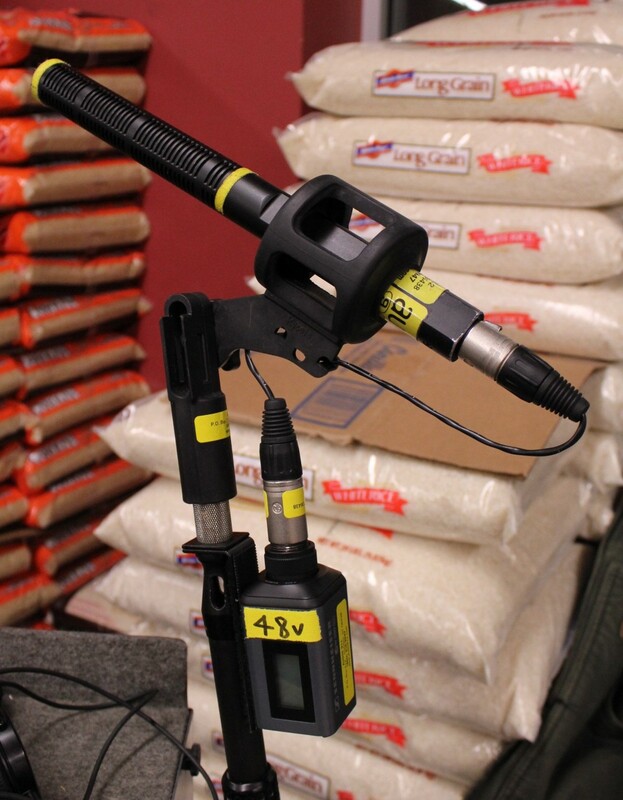 A big thanks to Mike Cleary from Sennheiser USA for his help in getting this system ready for a recent commercial shoot in the rice isle at a grocery store in Newark, NJ!!! This entry was posted in Audio 911 News on January 15, 2013 by Steve Wytas.